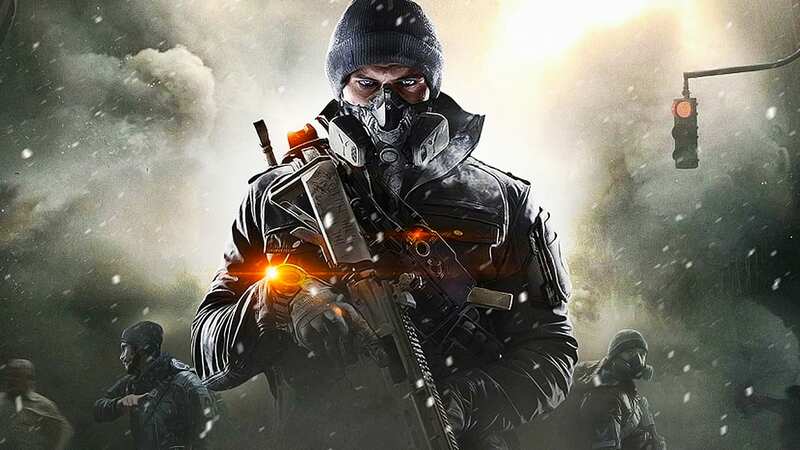 Tom Clancy's The Division 2 is the best looter-shooter to release in years. It has a full, well-worth-playing campaign, a satisfying progression system, solid combat mechanics, and a varied world to play in. It does almost everything right, and where it fails, it does so gracefully. It is not a game that will live on any single idea, nor will it die on any one of its missteps. And even if The Division 2 is essentially just more, better Division, the way Massive Entertainment built on that strong foundation is something to be commended. The cardinal sin of any loot-based game is not having any reason to, well, loot. And you want to have a loot progression that lasts hours upon hours — so many hours that it all can't be done in less than a week or two of incredibly hard grinding. Unless you're a streamer or someone with a lot of time on your hands, this is the experience The Division 2 offers. The campaign is roughly 20-30 hours in length if you stick to the main story and mandatory side content, and at no point did it feel like I was either wanting for loot or that I couldn't be making meaningful progress toward some goal. 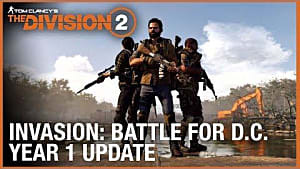 Progression is a subtle thing in The Division 2. Yes, it essentially boils down to numbers-chasing, but until the endgame, the only "number" that matters is an item's level. That is unless you're planning a build. With the implementation of gear "brand" sets, even the greenest uncommon gear has bonuses and perks you can work toward. This new system doesn't give you nearly the synergistic potential a fully kitted endgame character might have, but it allows players to start thinking about how they play and, more importantly, how they like to play. By the time I entered World Tier 1 at the end of the main story campaign, I found myself confronted not by a "you must play this way or that way choice," but instead with some empowering options that complemented the choices I was already making. It was a refreshing twist but probably had a bit to do with luck as well. And luck is something you'll need a bit of in The Division 2, only because you will rarely get the loot you want on the first go around. And sometimes you'll be stuck with that one piece of outdated gear you just can't seem to get rid of. Or that would be the case if crafting, recalibration, and merchants didn't exist. In The Division 2, there's is almost always a way to ensure you have the loot you need, if not the loot you want. 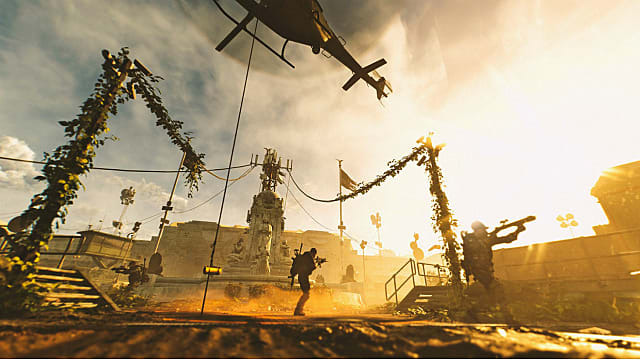 All of this would not be possible without what I think is the most critical part of The Division 2's progression: the sheer amount of incrementalism involved. A player will always, always feel like they're moving upward. It's something you can feel, not only because loot is plentiful, but the means to acquire loot are even more plentiful. 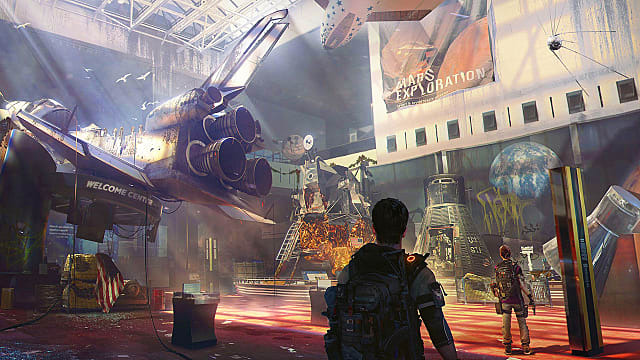 From world events to side missions, strongholds, roaming enemies, world bosses, refreshing loot chests, replayable missions with multiple difficulties, bounties, the Dark Zone — the list goes on an on — there's plenty to do and plenty of loot to get. It's a big world, and there's a lot in it. 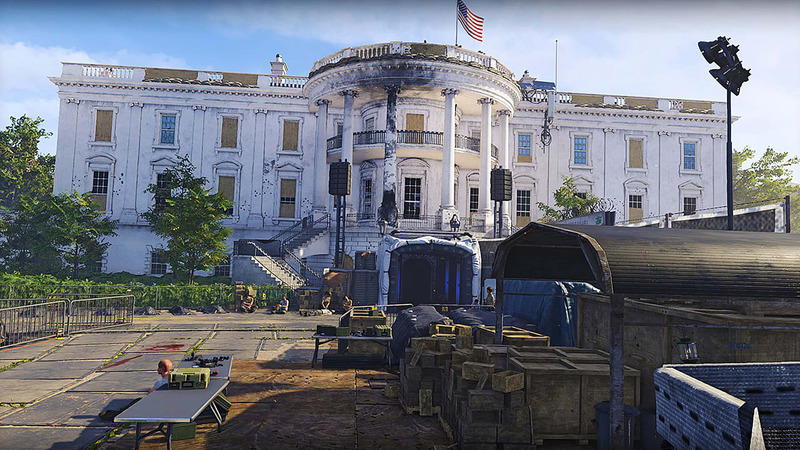 The open-world of Division 2 is bustling with things to do, though not all of them are satisfying to repeat endlessly. The world events are perhaps the most tedious of loot opportunities, and because they're so frequent and so quick, the stuff that drops is rarely worth the time after a certain point. World bosses, on the other hand, are usually a pleasant surprise, especially if you run into them randomly. A moment free of loot instantly becomes a chaotic mess with the promise of something juicy on the other side, and I was more than once distracted for an extended period by a sudden boss appearance. You can, of course, control how your bosses spawn through the use of bounties, and while in many cases these bounties don't offer the level of gear you're looking for, they do provide a nice bit of optional, unobtrusive content. 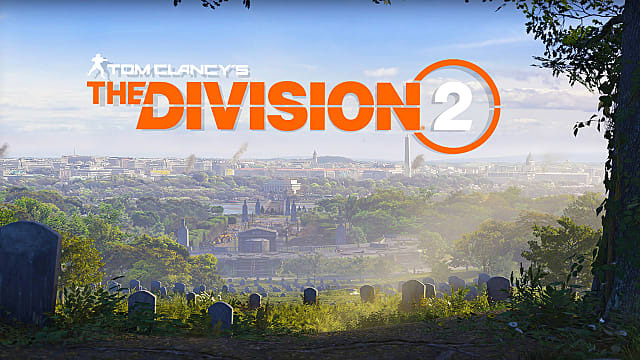 Where Division 2 shines is in its core mission content and the Dark Zone, but I also have serious problems with both. Almost every mission in The Division 2 blows the previous game's best content out of the water. The first thing I love about them is how varied the level design is in each, both from an aesthetic and gameplay standpoint. Every mission takes you to a new and memorable location. There's very little shared visually between the various story missions, and I was consistently surprised by the variety and creativity on display with both the setting and aesthetic. 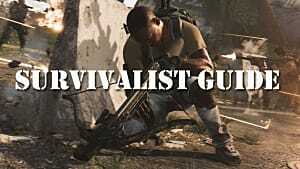 Gameplay-wise, there are only so many directions you can take cover shooting, but many of the mission areas incorporated verticality, close quarters combat, and lots of unique sight lines to make encounters feel unique. I never felt like I was fighting the same way twice, even if I had to replay a portion of a mission a couple of times because of some stupid mistake. Which brings me to my issue with the missions: because they're unique, that "newness" is bound to fade over time until each mission becomes a grind for gear. On its own, that's not a bad thing, but missions take a long time to complete even on normal difficulty because every encounter has multiple waves of enemies, some of which take a ton of damage to put down. In a game like Destiny 2, I can speedrun a strike in a couple of minutes if I need to grind for something. Bosses have specific melt strategies I can use consistently, and in the time it would take me to do one hard-mode Division 2 mission, I might have gone through 10 strikes in Destiny 2. The difference in loot amount notwithstanding, grinding in other loot games is more fun because it rarely becomes a slog. I'm seldom dreading a lengthy session doing the same quest again and again because, in most cases, I'm not dedicating my entire night to it. I might do that for a raid because they're supposed to be long, but a single story mission? No, thank you, I'm good. 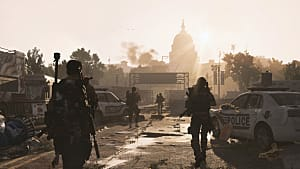 The Division 2 continues the series' exploration of human greed and aggression, this time with three separate Dark Zones, each appealing to a different aesthetic and play style. 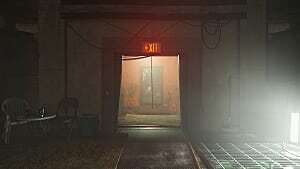 Much about what I loved about the first game's DZ is present: tension, difficulty, atmosphere. And as with everything else in The Division 2, there's a lot of expansion here. Verticality makes itself known quickly in ways the first game never used. The dilapidated, more verdant environments offer new ways to engage. 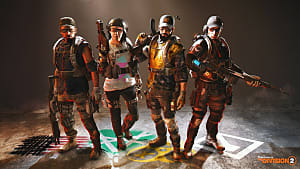 The chaos of a fight against a roaming boss can quickly descend into a fight against other Agents, which can then escalate further into a manhunt for the Rogues who went on a killing spree. The Dark Zone is nasty in the best ways, but there are a few changes that irk me. First, "Going Rogue" is more than just a conscious choice. It takes a button press now. You won't instantly be on everyone's hit list because of a few stray shots. You have to want to be the bad guy, and with escalating tiers of Rogue, you have to really want to be the bad guy to get the most out of the status. But see, the system in the first game made more sense. Sure it could be unfair, but that was kind of the whole point. Mistakes were punishable, and the well-meaning became the murderous in less time than it takes to blink. Now, while intent is emphasized, an element of randomness is not. 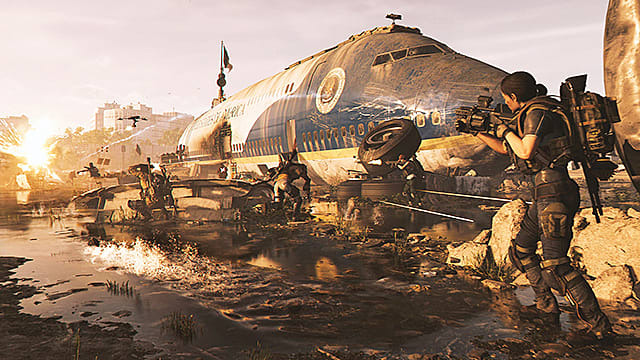 Division 2 thrives on a little bit of control to every encounter, but the Dark Zone is supposed to throw all those rules out the window. To impose law on the lawless is the worst possible crime. Also, I don't think it was the wisest decision to split the Dark Zone into three pieces. It's the same complaint people have about DLC dividing the community. Until a specific Dark Zone comes out as "the place to be," I feel like it will be harder to get into those tense moments. None of what I've talked about above works without guns to shoot at the things that drop loot. 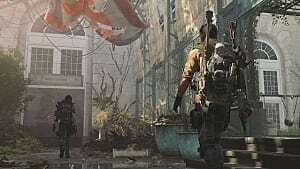 And while The Division 2 does a serviceable job of providing shooty fun, it is not Destiny or Call of Duty levels of smooth. That said, the different gun types do feel different, and each has its place in your loadout. But on the whole, the guns all fail to do the kind of damage that one-shots a boss mob or single-handedly clears a room. Your best option, as of right now, is a good LMG and Sniper Rifle combo. One for the more mobile enemies, the other for the slow and stationary ones. The cover mechanics are decent as well, if a little glitchy at times. 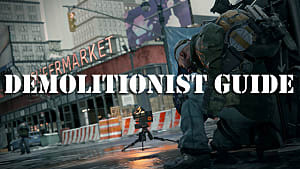 Your character is particularly sticky to any wall within a single zip code, and moving in and out of cover in the middle of a firefight can and will get you killed. Not because you're out of cover, but because you're still in it and some guy has flanked you. I also found myself experiencing some significant input delay, though this was inconsistent enough that I chalk it up to me flooding the game with inputs in a panic. Still, there were times out of combat where I'd ask the game to do something only to have it comply half a second after I asked. In a game where several milliseconds can be the difference between life and death, having to deal with several hundred milliseconds is irksome. Like, say, if I wanted to activate my healing drone only to find my character stare blankly at the floor. I need the healing drone because it's saved my life more times than I can count. What hasn't gotten me much use are almost any of the other abilities. Overall, I think the equipment in Division 2 is lacking. There are eight total on offer, and only three — the Chem Launcher, Shield, and Turret — are must-run. The support equipment, the Drone and Hive, have their uses, but at the higher levels, their effectiveness begins to wane. All in all, the combat and gunplay in Division 2 does its job and little else. That's fine for a game like this, but I had hoped they'd push their mechanics a little further. The Division 2 is an improvement on the first game in almost every way. Its mission design is superb, if a little long in the tooth. Its combat does exactly what it means to, enabling a lengthy and satisfying loot grind that even after forty to fifty hours I can't find any reason to stop playing. The open world, too, is well worth your time. Settlement expansion is a little thinner than I'd like, but I'm a sucker for hub area progression and a bit spoiled by the Assassin's Creed series. World events, bosses, and traversal are all fun, and the map isn't so large as to be overwhelming, especially with fast travel points. I didn't talk much about the endgame much only because it's an expansion on the core game, just at a higher difficulty and with a new enemy faction. 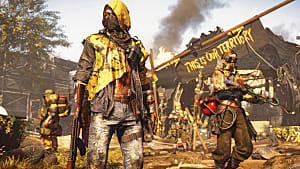 This faction, the Black Tusk, offers enough variety and mechanical challenge that they're worth getting to the endgame on their own, not to mention all the hidden secrets and easter eggs snuck across the after-campaign world. One of the most satisfying progressions systems in a loot game to date. Varied level and mission design that allows for many different avenues of attack. A lively, engaging open-world with too many activities to count. Loot worth grinding for that allows for a variety of builds and play styles. Lackluster abilities that add little to the overall combat meta. Lengthy mission times that could get in the way of enjoyable grind.